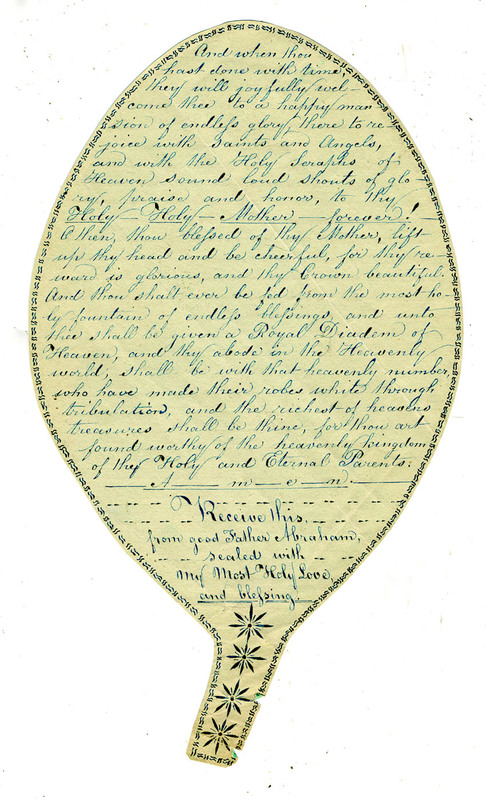 Inspirational Shaker Manuscripts - Willis Henry Auctions, Inc. Included in our upcoming Shaker Auction are many fine examples of Shaker inspirational manuscripts. 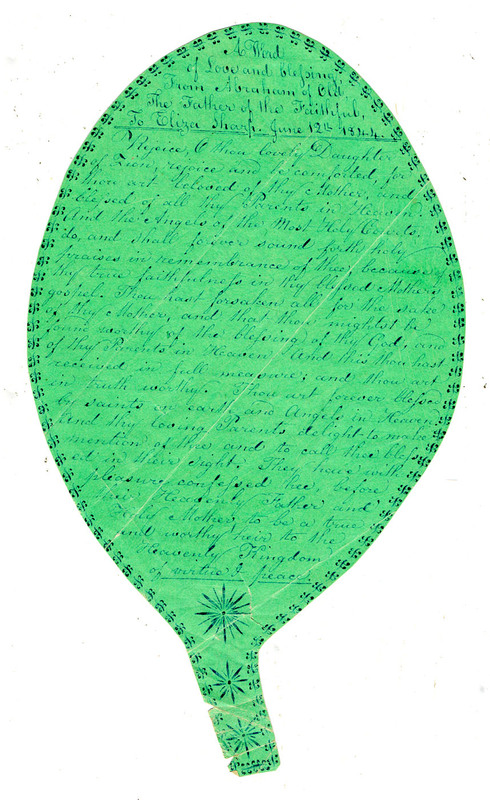 Our featured piece is this excellent Shaker Leaf Gift to Sister Eliza Sharp from Sister Polly Ann Reed, both of Mount Lebanon, NY. For further information on our Upcoming Shaker Auction, click here. Check back often to see more updates about the wonderful items in our upcoming Shaker Auction on Columbus Day, October 12th, 2015.